Let’s be honest, we have two dogs and they are a huge part of our family. But they aren’t perfect. They’re kind of messy. So finding the best pet stain odor remover for our pets is important to me. It’s a must. Toby is much more mellow now that he’s almost 10 years old, but Sebastian still acts like a brand new puppy despite his age. I’ve cleaned up my fair share of pet messes since Justin and I got married and got our first furbaby. 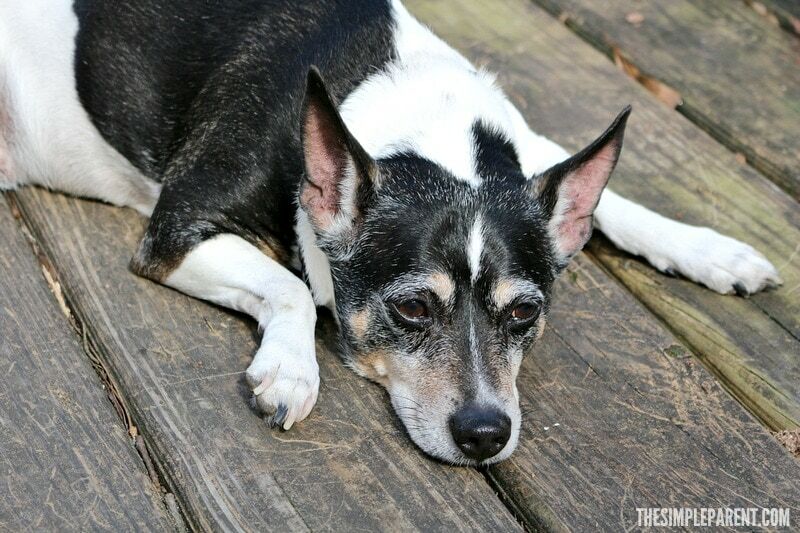 When it comes to finding the best pet stain odor remover, I have a few things I look for. It’s a list I’ve developed after years of trying different products that claimed to be the best pet stain removers! Those last few items were things I thought would be fabulous since we have both kids and dogs. It would be great to have a single cleaner that worked well for all kinds of stains! I’ve struggled to find the best pet urine odor remover for our family. Pet urine is an issue we’ve dealt with a lot in the past when training new dogs. Trust me, I feel like I’ve tried everything! Then I had kids and started dealing with accidents from them too! 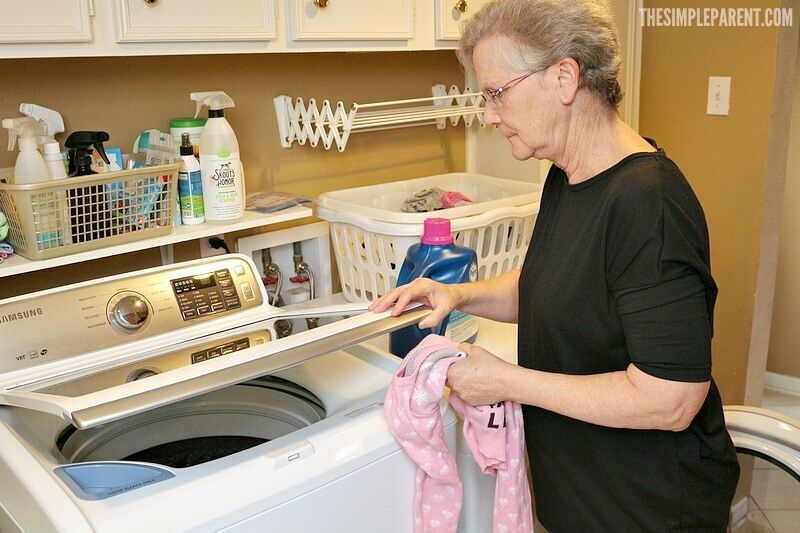 A parent’s work never ends when it comes to cleaning up accidents (at least in the earlier years of babies, toddlers, and puppies)! Because of the kids, I always want a natural pet stain remover. 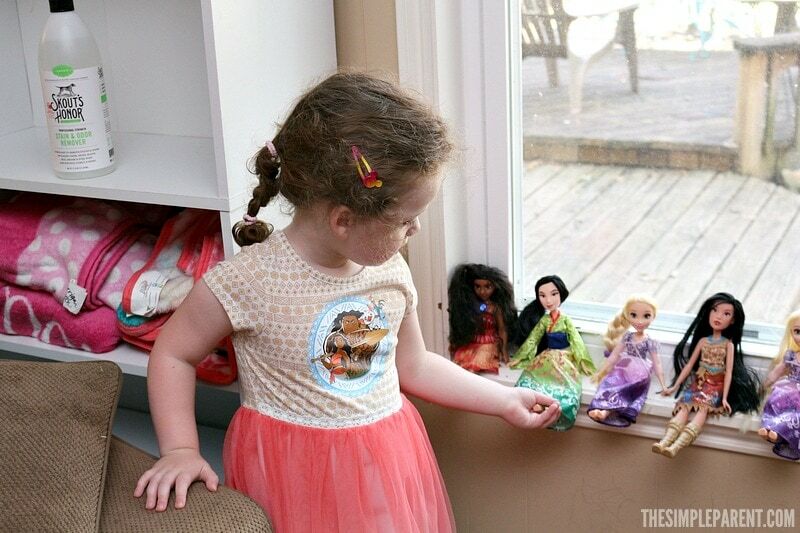 I want to know the products we’re using in our home are safe for busy family life. This means they need to be non-toxic and I tend to lean toward more green cleaning products these days. 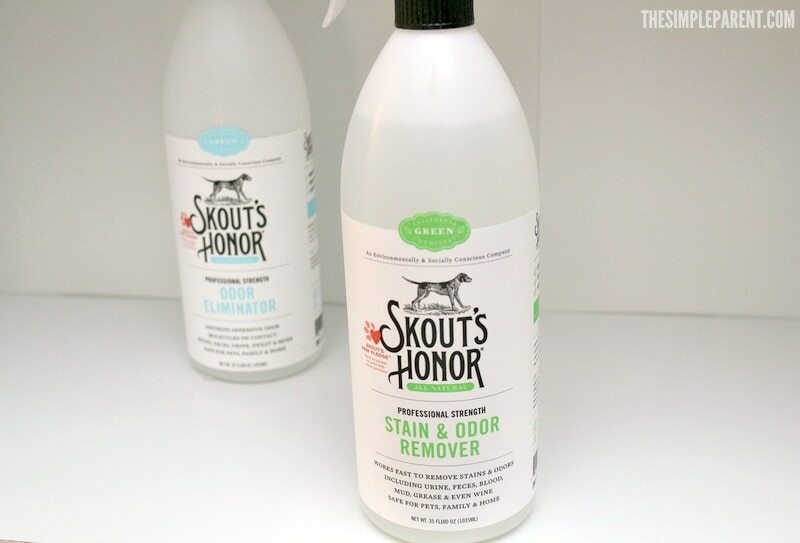 So let’s be honest, having the chance to try Skout’s Honor products has spoiled me. 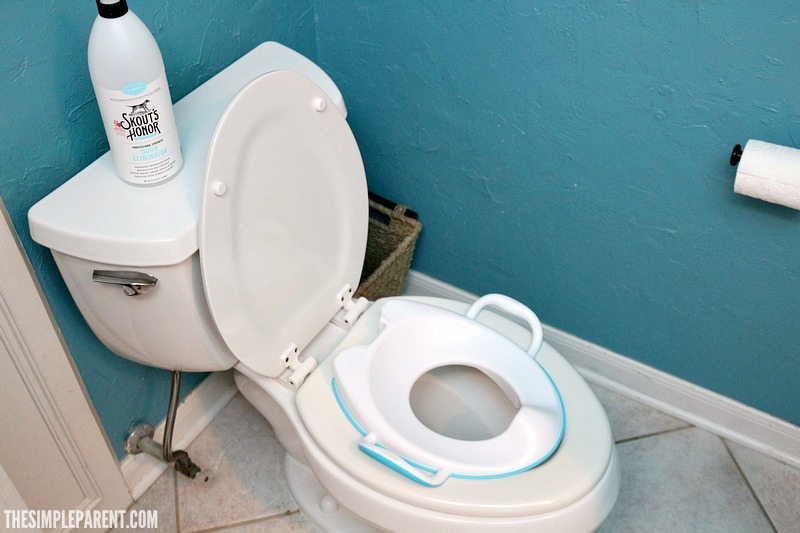 They’ve not only helped me find the best pet stain odor remover, but I’ve also discovered that I can use the products for tons of different uses around our house! 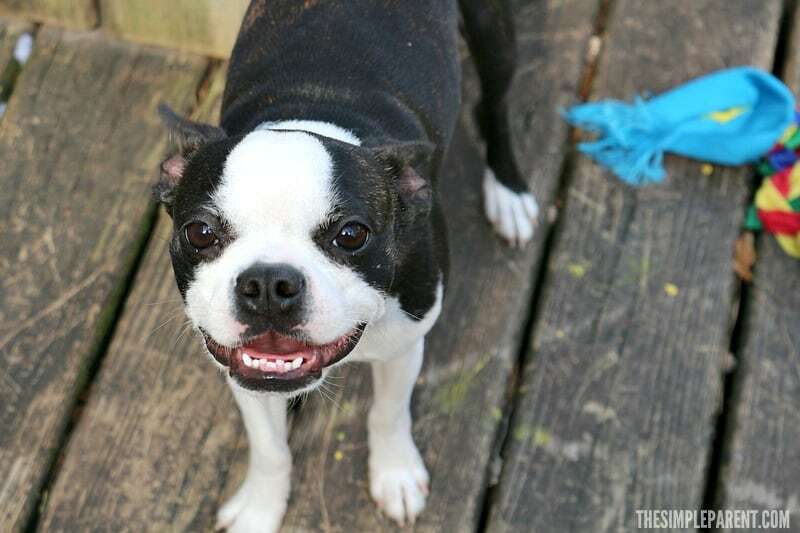 I have to admit that I think the true test to see if a natural pet stain remover product is the best pet stain odor remover for my family is whether or not it can do double or triple duty! That’s the new standard around here! If our pet stain cleaner can be used all around the house, then it’s even more convenient for me! I’m all about things being easy and convenient. We had a great experience with Skout’s Honor and I look forward to trying a few more of their products. There’s something for all pet owners and you can find out where to buy Skout’s Honor products near you! « Don’t Miss February Baby Month at Sam’s Club!